As basketball popularity has grown tremendously -- both in the USA and internationally -- interest in buying and selling vintage basketball cards also has grown. 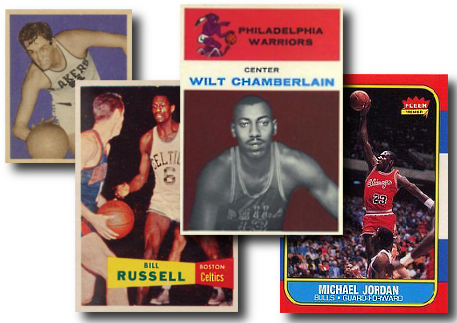 The extra long basketball cards of the late 1960s and early 1970s are unique and include many vintage stars and rookies. Click here if you want to SELL your basketball cards to Dean's Cards.